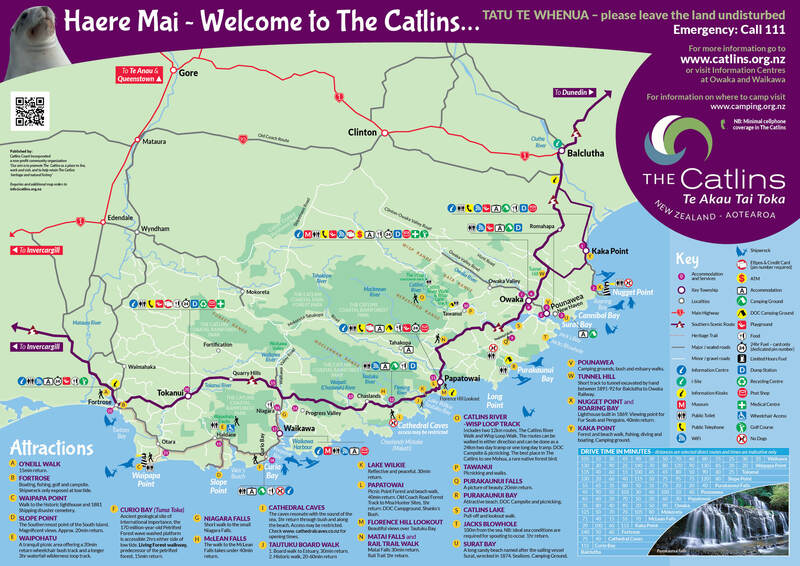 Scenic sand dunes, rugged coastline, sea mammals and a historic lighthouse are to be found in this far southwest corner of The Catlins. A great spot for a walk or picnic, nature watching or to soak up some history! Waipapa Point is located approximately 10 kms from Fortrose. From a car park area, it is a short walk to the lighthouse and the cemetery of many of the victims of a shipping disaster when the passenger steamer Tararua foundered off Waipapa Point on 29 April 1881. In response to this tragedy, when all but 20 of the 151 people aboard perished, a lighthouse was built becoming operational in 1884. It was automated in 1974 and remains active to this day although there is no public access now to enter the building. At the base of the lighthouse sea lions and fur seals can often be seen. The sea lions sometimes put on a show fighting among themselves. Take care to not get in the way! Car park to lighthouse – 10 minutes one way.